I lost all internet, TV and phone this weekend because of an AT&T outage. Yikes, It's disconcerting how much I rely on those every day. 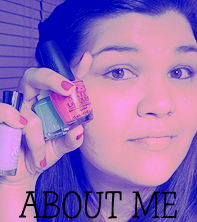 But with some extra time on my hands, I decided to do another installment on my ABC Challenge! 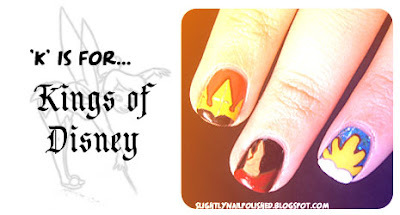 If you've been reading any of my posts, or at least my About Me page, you should know that I'm obsessed with Disney. And within this Challenge, I'm trying to squeeze as much Disney as I possibly can. 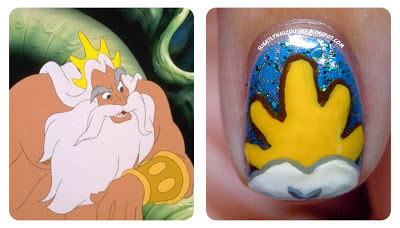 And I somehow managed to incorporate 5 Disney Movies in one! Holy cow, right? I'm going to keep this as spoiler-free as possible. I'd appreciate it if you do the same in the comments. 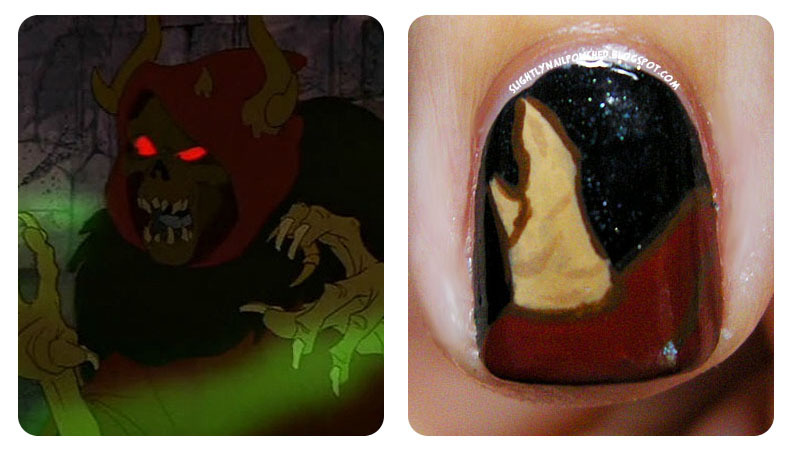 XD Also, I used a lot of polishes in this design so I'm going to omit that from the descriptions. If you're interested in a polish, refer to the bottom of the post. And if you still have a question, just ask! I don't bite. 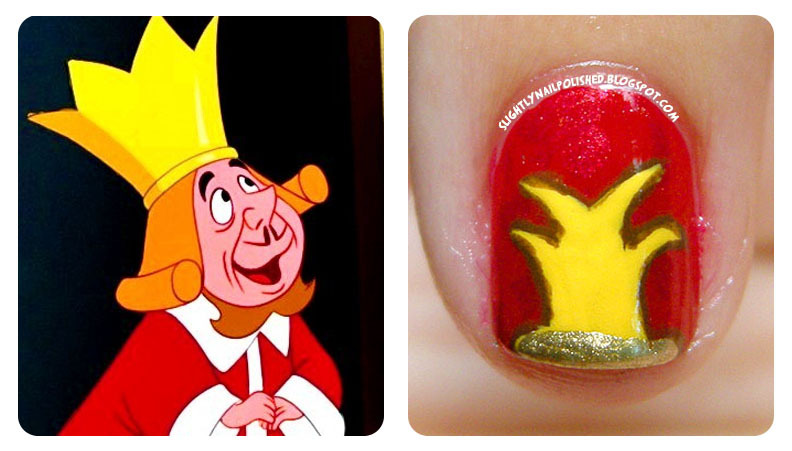 My pinky is based on The King Of Hearts from Alice in Wonderland. This tiny, quiet king is just too cute! And I love that even though The Queen of Hearts is completely overbearing and loud, she still lets the King get what he wants. ^_^ Even she can't resist him! 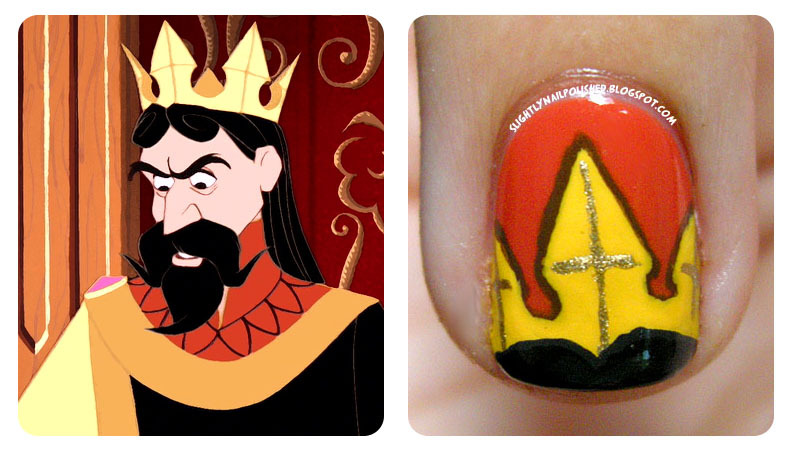 My ring finger is based on King Stefan from Sleeping Beauty. For some reason, I've always really liked Stefan. He's one of my favorites. I loved his design and I always thought it was kinda cool to see a good character with a color pallet of dark colors. He's just different. My index finger is King Triton from The Little Mermaid. This was one of the first movies I saw in movie theaters. I loved it! I remember watching it all the time when I was a little. Alan Menken and Howard Ashman's music was magical. 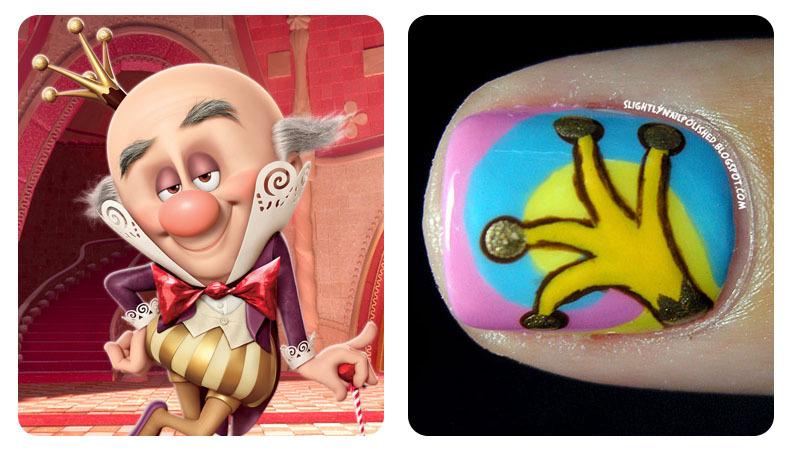 My thumb is King Candy from Wreck-It Ralph. Let me just say, this movie is a breath of fresh air. 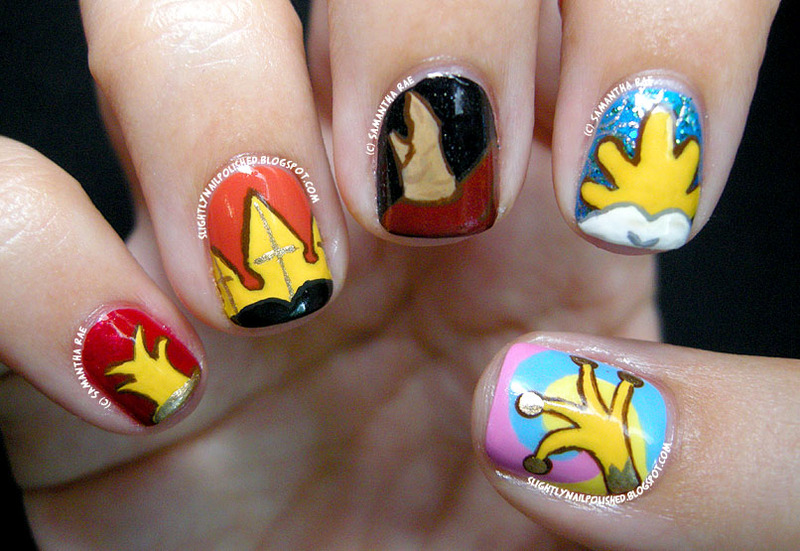 I loved it's originality. And King Candy is adorable and hilarious! If I didn't like Ralph so much, he would be my favorite character. "Candy for everyone!" I didn't notice this until I was finished, but somehow I put all the movies in chronological order. XD What a coincidence!